Making the office feel more like home. 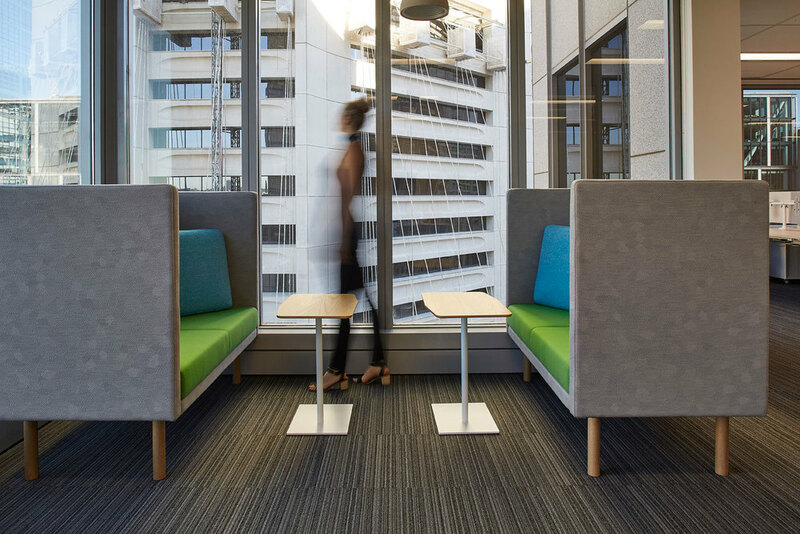 With 65 per cent of Australians spending more than 40 hours in the workplace, the ‘domesticated’ offices FutureSpace designed for RSM Australia challenge the concept of the corporate office and coming to work. A domesticated workplace does not just have a few elements of the home, but instead is a total integration of domestic features and transforms the whole office into a relaxing, home-styled environment. There is a new paradigm happening in the workplace with offices becoming domesticated, or made to be more home-like. Australians have one of the longest working weeks in the world so it makes sense for our workplaces to become places employees actually want to be. Workplace well-being is a growing trend. When a company fully integrates a ‘domesticated’ workplace with high levels of social interaction, opportunities to relax, and amenities to eat and exercise, the increased rates of productivity, retention and satisfaction are exponential. A domesticated workplace also reflects the strong relationships made in the office. We’ve all heard the phrases ‘work wife/husband’ and ‘work family’, and more recently there is a real desire for the workplace to reflect these connections by creating a domestic or residential environment. The RSM Australia office at 60 Castlereagh Street in Sydney accommodates 145 employees, and is in a space of 2342m2. For this space it was about creating an office that reflected the social but hard working office culture, to break up the silos between departments, and to create a more flexible space with a great social vibe. FutureSpace accomplished this with many design elements of domestication, like having a large open planned kitchen with a large bench to support the organisation’s ‘family’ style gatherings, lots of indoor greenery with vertical gardens and green walls, as well as lots of reading nooks and breakaway spaces to get away from the hustle of the office.